The original 1992 UN Framework Convention on Climate Change (UNFCCC) cited human health as a key driver of climate actions. However, in the intervening years, health issues have often been put on the back burner by negotiators. At the same time, evidence of health impacts has continued to mount. Extreme weather and changing patterns of drought and rainfall have already affected a wide range of health risks, from food security and nutrition to patterns of infectious disease transmission. These impacts are most often affected by the world’s poorest countries and vulnerable populations, particularly in sub-Saharan Africa. The current COP-17 is the focus of an historic debate on whether to extend, or replace, the 1997 Kyoto Protocol, which mandated the first binding global targets for reducing emissions of the major greenhouse gases, but which is now due to expire in 2012. The meeting also will decide on the establishment of a Green Climate Fund to support both reductions in greenhouse gas emissions as well as adaptation measures in hard-hit developing countries. On Sunday, 4 December, a first-ever “Climate and Health Summit” brought together over 200 health professionals from over 30 civil society organizations and countries in a “Durban Declaration” which calls upon climate negotiators to rapidly advance new and binding climate-mitigation policy measures, for the sake of human health, while also supporting health-oriented adaptation actions, particularly in countries most affected. 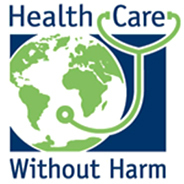 The summit, organized by the global NGO Healthcare Without Harm, the UK-based Climate and Health Council, the World Federation of Public Health Associations and the Nelson R. Mandela School of Medicine, University of KwaZulu-Natal in South Africa also issued a parallel “Climate and Health Call to Action” which calls upon among health professionals worldwide to recognize climate change as a health issue, and advance mitigation and adaptation strategies in health-sector activities and operations. Dr Hugh Montgomery of the UK’s Climate and Health Council added, “No-one is immune from the health impacts of climate change; people in developed and developing nations are all at risk.” Two other health-focused events occurred on 7 December: a High-level Roundtable on the Health Sectors’ plan of action for climate change adaptation, led by the African Development Bank, and a UN joint side event on social dimensions of climate change: Investing in people, tools and country experiences, co-organized by WHO and the International Labour Organization (ILO). These events reflect the strong and growing engagement of health organizations and professionals in climate-change negotiations. While negotiations about mitigation targets and how to achieve them remains politically contentious, the health community is increasingly uniting around a series of key messages: – The necessity for broad, urgent action to reduce greenhouse gas emissions and stop continued erosion of ecosystems that sustain healthy environments and human health; – The need to support more climate-resilient health systems; and – The opportunity for smarter, more sustainable development to generate immediate health “co-benefits” in a greener, low-carbon economy. Rishab Khanna – EnvirohealthMatters representative at COP-17, Durban.